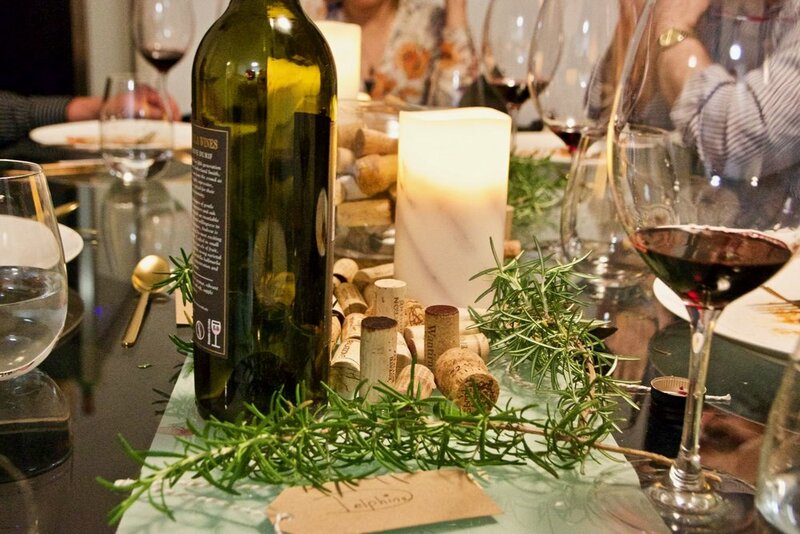 Hosting a dinner party can be a lot of fun but a real pain (let’s be honest). Preparation, cooking, cleaning up and entertaining guests can be an arduous task but we’ve found an easy solution for you – Semplice Cooking. 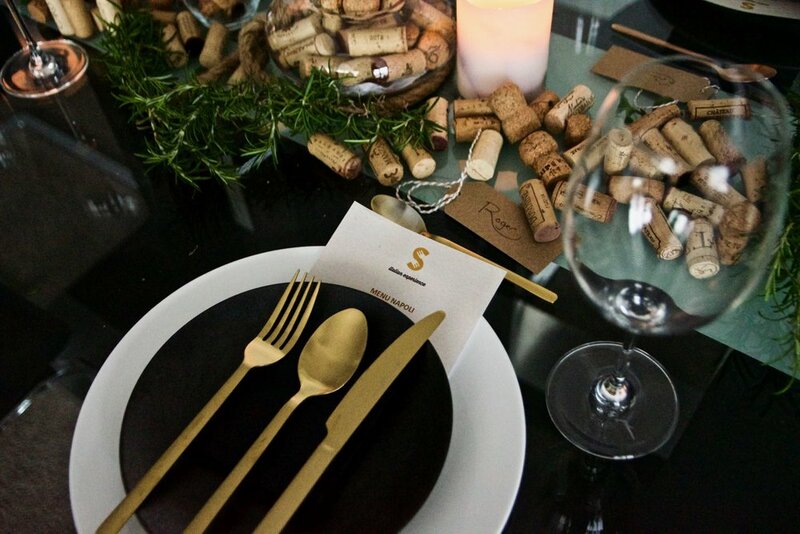 Gastrology was recently treated to a decadent three course dinner for a table of six in the comfort of our own home by Michele Scovotto from Semplice Cooking. And boy, was it a treat! 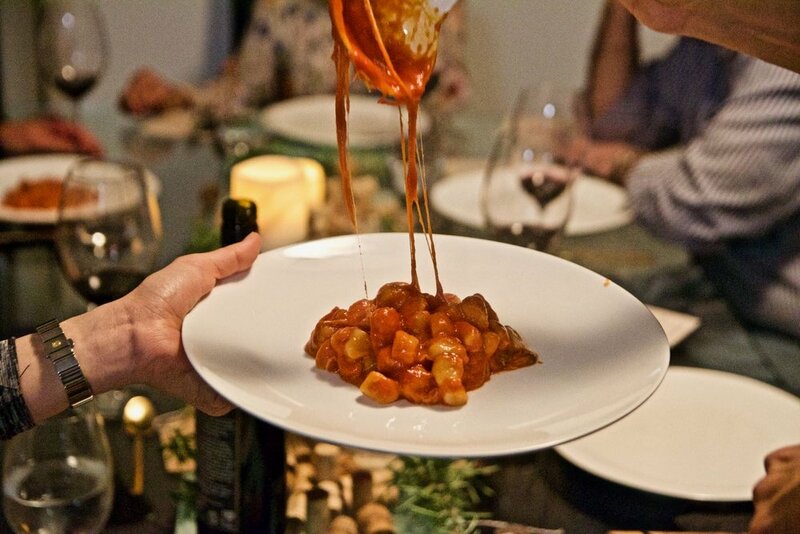 An Italian chef (fresh from Italy – he’s only been in Melbourne for 9 months), Michele’s passion for Italian cooking and culture shines through from the moment he steps through the door, promising a fun evening to be had by all. Meaning "simple" in Italian, Semplice is exactly that. 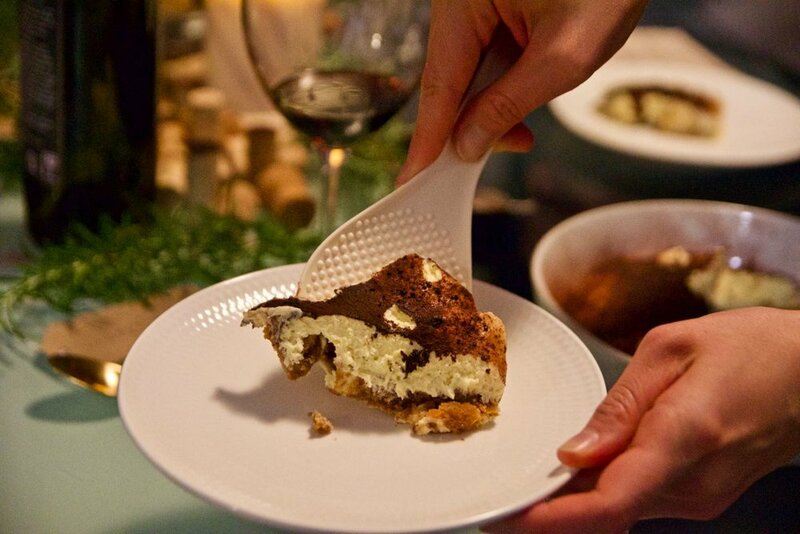 A celebration of simple and utterly delicious Italian cuisine. Formalities are done away with so it’s a welcoming and warm affair. The evening commenced with a little cooking class – the art of making gnocchi. Michele explained that in Italy that is how his family meals would start – the kitchen. Family members land a hand to create beautiful pastas, sauces and dishes to be enjoyed shortly after. We loved been taking through the art of making gnocchi dough, rolling and chopping up these little pillows of love. It was a great opportunity to hear about Michele’s background and learn tips and tricks on how to prepare Gnocchi alla Sorrentina. Hailing from Southern Italy, Michele’s nonna taught him everything he knows about food. His presence and light hearted banter certainly gave us a taste of what it would have been like to visit his family home in Italy. After our little gnocchi making session, it was time to enjoy our first course - Aperitivo Napoletano. While we sat in our lounge sipping champagne, Michele presented us with a stunning platter featuring Bruschetta pomodoro e basilico, Prosciutto di Parma wrapped Grissini breadsticks, Salame Napoli and Parmigiano Reggiano with honey. Michele also spoiled us with plates of his nonna's capsicum dish – a melange of sweet and savoury, this was absolutely delicious. Soon it was time to sit down for our mains. We were all excited to try the gnocchi we had helped prepare earlier. 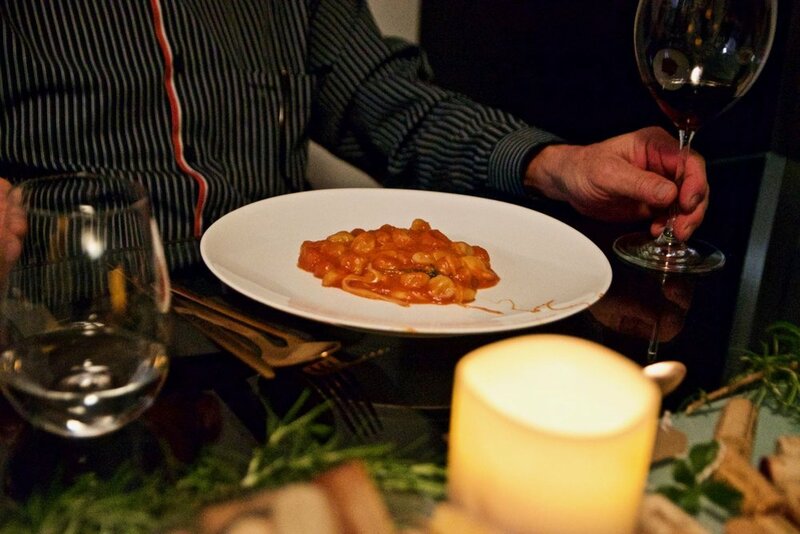 Michele had tossed the handmade gnocchi in a fresh pomodoro sauce with basil and mozzarella. It was simple but simply beautiful. The mozzarella gave the sauce and oozy cheese consistency which was absolutely divine. Dessert time continued to highlight Michele’s talents. The Tiramisú was some of the best we had ever had. Michele explained that the ratio between the savioardi, mascaropone cream, caffé and cacao powder is incredibly important. Once you get these proportions right, then the result is scrumptious. 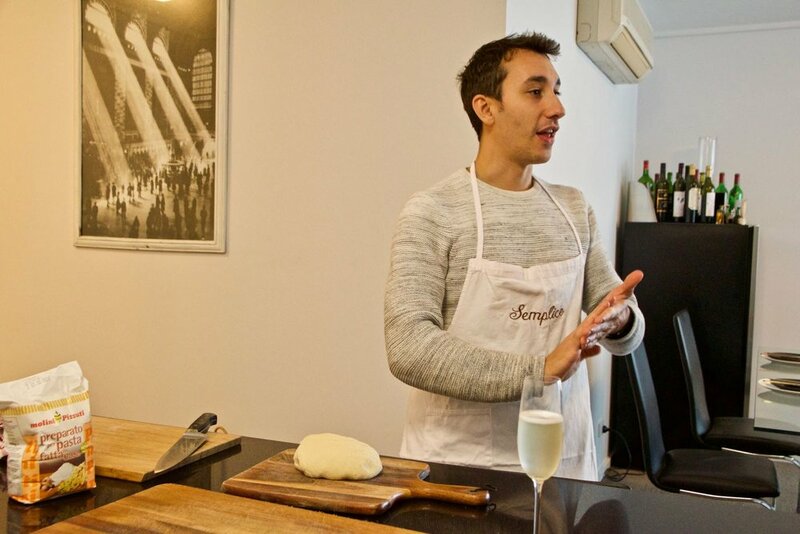 Semplice Cooking offers guests a thoroughly memorable experience. For a reasonable price (from $60 a head), you can have Michele come to your home and provide a lovely Italian experience where guests will be entertained, learn to cook a dish and enjoy a three course menu of your choice.